There were times when a watch was used for one purpose only - knowing the time. Today most watches offer you much more. It is a little computer you wear on your wrist. 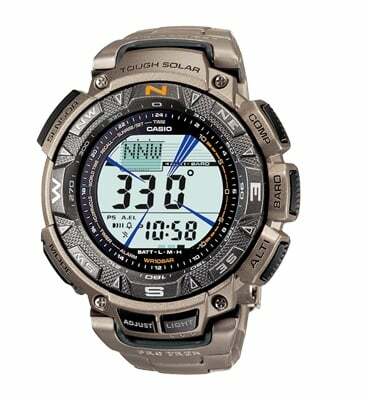 It can offer you advanced functions like compass, altimeter, barometer, thermometer, GPS, heart rate monitor etc. Of course it should also provide you with basic functions like time and date. Watches with advanced functions offer you information which is very useful for outdoor activities like mountaineering and hiking.These watches are appropriate for everyday use too. They are good looking and they reveal your lifestyle to others. So which are the best hiking watches? 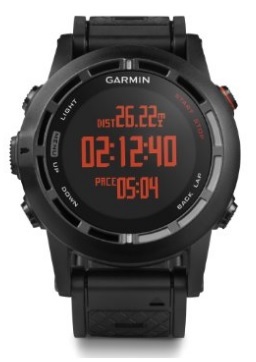 With Garmin Fenix 2 you will have navigation and tracking during your hike. 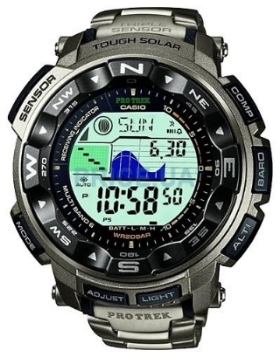 It has altimeter, barometer, 3D compass, thermometer and all other functions you will need. You can predict weather changes with historical readout or read how high above sea level you are from the altimeter. The compass will provide you current heading and will help you navigate to the waypoints. With built in GPS your hike will be tracked but that's not all. Garmin Fenix 2 also supports mapping which allows you to see tracks, and waypoints. You can also connect it to the heart rate monitor and employ fitness functions like changes in calorie burning. Basic functions included are time, date, alarm, timer, chronograph, sun and moon information. In this review we selected the best five watches for hiking in 2018. 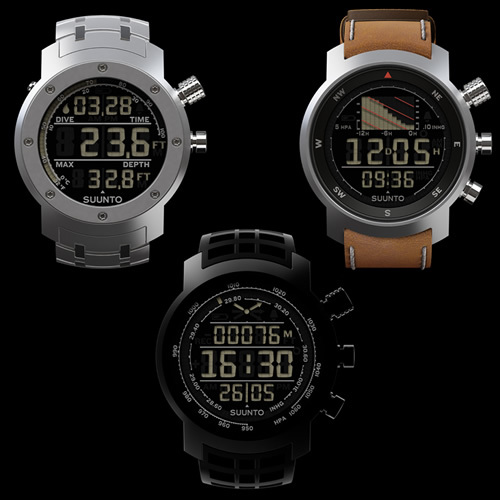 These watches are equipped with features like compass, altimeter, barometer etc. Here are the best military watches of 2018. These durable and rugged watches are perfect for those who need a reliable timepiece for harsh conditions. Suunto Ambit 3 is the ultimate watch with built-in GPS and heart rate monitor for outdoor activities. It has an altitude meter and a barometer with automatic switch, so that it switches to altitude meter when you are moving and to barometer when you are still. It also has a 3D digital compass which shows you heading in degrees. Built in GPS offers you to track distance, find a route back to your starting point as well as showing you grids and speed. With the heart rate monitor you can see heart rate in real time, average heart rate and calories burnt.The battery is rechargeable and the watch has battery power indicator. Even the thermometer is not missing. 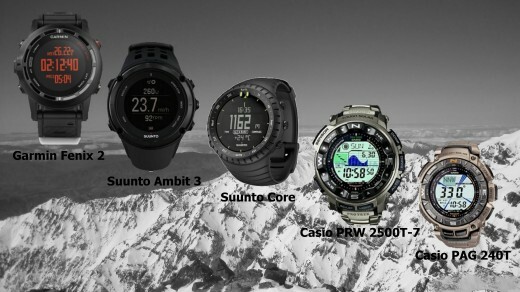 These are the special functions of Suunto Ambit which you will use as a hiker. Of course Suunto Ambit supports basic functions like time, alarm, dual time, date and chronograph too. The most interesting features of the Suunto Ambit 3 are smart phone integration and Bluetooth support. Using the Suunto Movescount App on your smartphone allows you to get notifications from the phone directly to the watch. For example calls, messages and Facebook notifications can be seen on your Suunto Ambit 3 watch. Bluetooth support provides you connectivity with Bluetooth sensors like heart rate monitor. Suunto Ambit 2 is currently one of the most sophisticated GPS watches on the market. 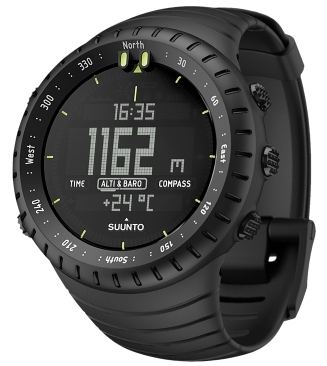 In this article I will explain how to use Suunto Ambit 2 in navigation purpose. Best five luxury watches comparison, review and all other information about buying a perfect luxury watch for less than 2000 $. Here are the best hiking GPS devices of 2018. These hiking GPS devices are very rugged and designed to offer maximum performance and functionality. Suunto Core is a watch appropriate for hikers and mountaineers. 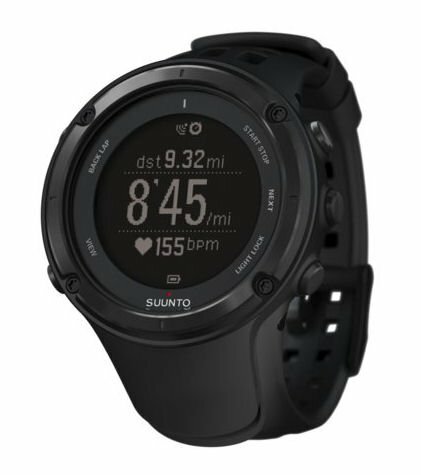 It is cheaper than the Suunto Ambit and has fewer functions. It supports altimeter, barometer and also automatic alti/baro switch. A thermometer and compass are also built in. You will get weather information from a trend graph or trend indicator which is shown on your watch while the barometer is on. If a storm is rising, the storm alarm will warn you. The battery is replaceable but not chargeable. The basic functions are time, alarm, dual time and sunset/sunrise times. Due to its cheaper price it has no GPS or heart rate monitor. Do you use separate watch for hiking? The best five hiking socks review, comparison and information about buying socks suitable for hiking, trekking, mountaineering and walking all year round. Best selling running watches review, comparison and everything you need to know about buying a perfect watch for running. Best five outdoor knives review, comparison and everything you need to know about buying a perfect knife for outdoor activities. This high performance watch was developed in cooperation with meteorologists to make your hike safe and enjoyable. It is radio calibrated so you won't have problems with time accuracy. The watch has altimeter, barometer, compass and thermometer.The barometer offers you a pressure tendency graph which will help you to predict weather. Predicting the weather gets even easier with the barometric change indicator. The compass will display your bearing and make navigation easier. The battery is solar rechargeable and with its battery level indicator you will avoid a surprise shut down. The basic functions are time, date, alarm, timer and chronograph. This watch doesn't support GPS or heart rate monitor. Here you will find information about buying a perfect watch which will fulfill your demands. We have carefully chosen the best five watches for men currently available. Here you will find the review of the five best camping gadgets which will make your camping comfortable, enjoyable and unforgettable. Here you will find some basic information about benefits and hazards of mountaineering and hiking and answers on frequently asked questions. This watch is a bit cheaper than the Casio PRW 2500T-7 but has fewer functions. It has compass, altimeter, barometer and thermometer. The compass will show your bearing and with the altimeter you will know how high above sea level you are. With barometer you will predict weather. The battery is solar rechargeable and with its battery level indicator you will avoid a surprise shut down. The basic functions are time, date, alarm, timer and chronograph. This watch doesn't support GPS or heart rate monitor. Which is the best watch for hiking? In this article we review the best five watches finished in camouflage pattern. If you want a watch in camouflage pattern, read this article and choose one of the best five watches in camouflage pattern currently available. 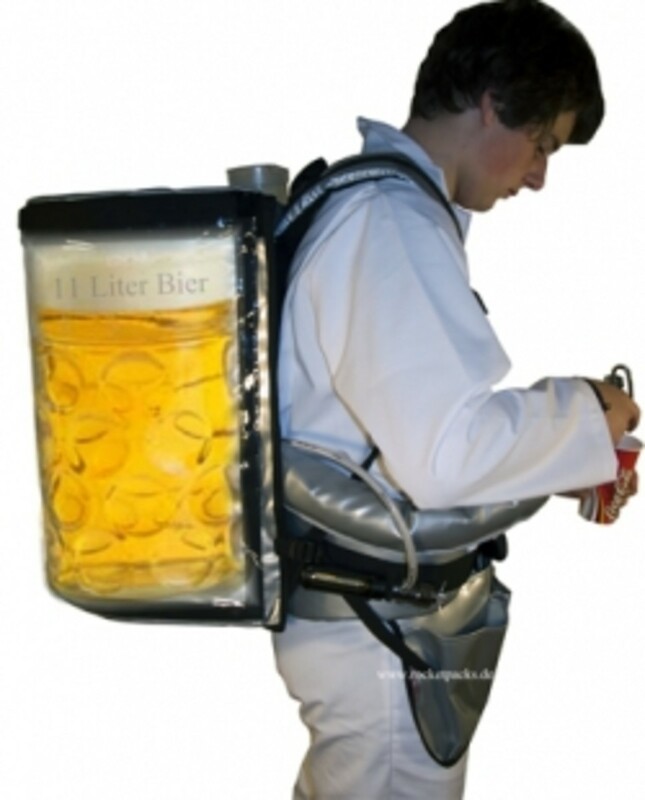 Here you will find information about buying the perfect hydration pack for your needs. We have carefully chosen The Best Five Hydration packs currently available and reviewed them for you. Here you will find all information about buying the perfect hiking rain jacket. We have carefully chosen the best five hiking rain jackets which will improve your hiking experience. In this article we will review and compare backpacks appropriate for multi-day hiking. The Best Five Hiking Pants review, comparison and additional information. Choose the right hiking pants with good performance and reasonable price. 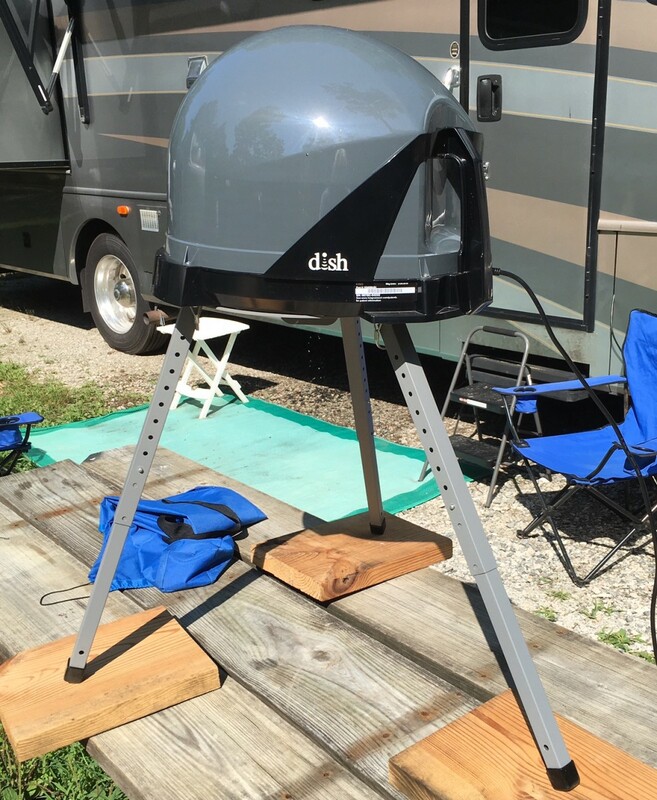 How Your RV Satellite TV works and How to Set it up Properly. Thanks and I hope your new watch will serve you good! A very timely hub for me. I hike a lot and am planning on buying a watch that goes along. This hub will definitely narrow down my search.